Lately I have felt like I have nothing to wear. I think I’ve just worn some of my tops so much that I am not as excited about them anymore. 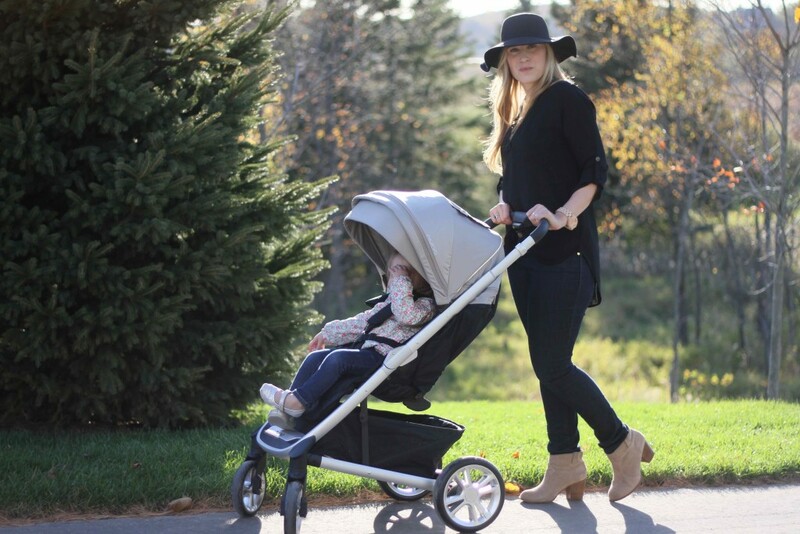 Plus, when you’re a young mom it can be hard because certain tops are great for wearing to work out out with friends but are not made for days with the kids. Grey and white Tee – great for layering under a cardigan (love this) or worn alone in the summer. Maroon long sleeve tee – great for wearing with scarf (this one is amazing) or with a pair of tall boots and jeans. Happy camper Tee and Button up – Great causal look for weekends. Windowpane button down – this one is frequently sold out, so if you see it in stock grab it! White and black button down – I LOVE this top. I can’t wait to wear it. 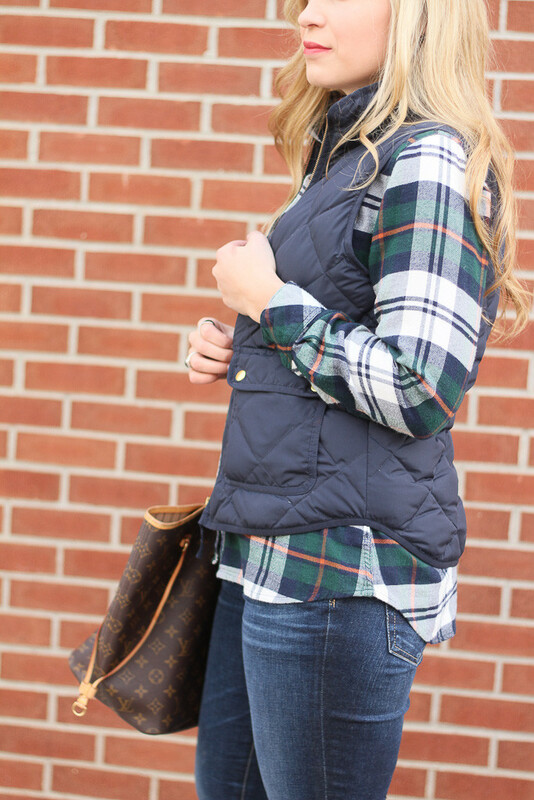 Blue and green button down– so cute with a vest in the fall – another one you’ll get a ton of use out of. Maroon flannel shirt – super soft and cut in a very slimming style. 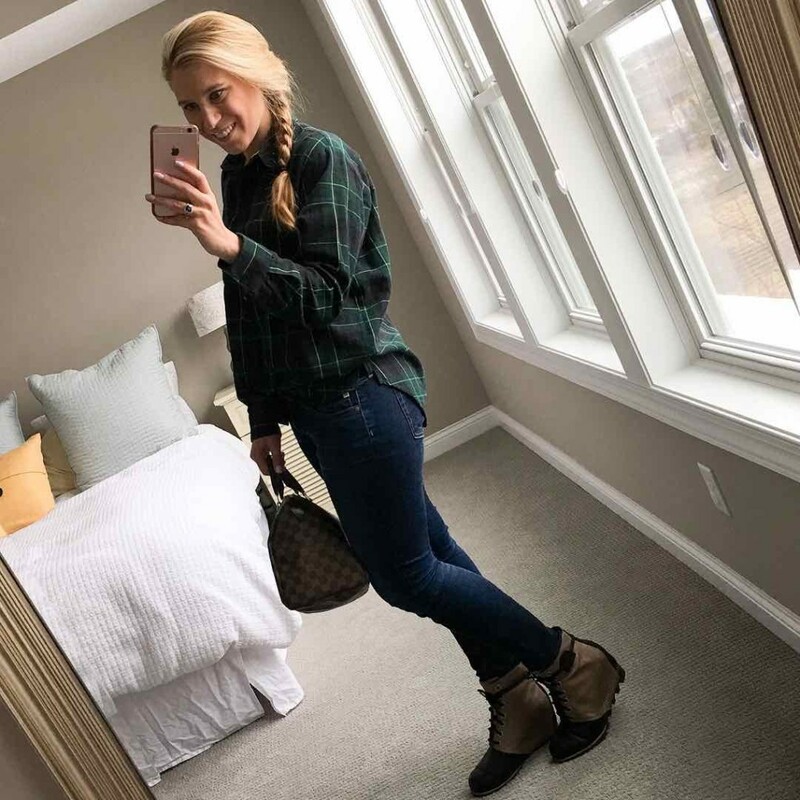 Black long sleeve top – great with a brown belt and the front tucked in. Grey flowy top – The back is semi open, so really cute with or without a tank top. 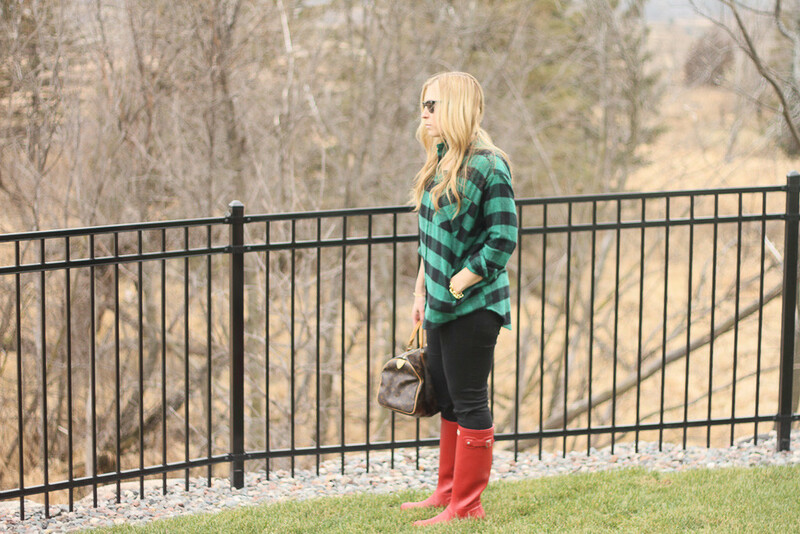 Striped long sleeve top– Really cute with brown boots like this one. I can’t wait to try this one on. Strappy long sleeve – Love this trend for fall – a great way to bring it into a work outfit. Striped blouse – I love this top because of the pattern on it and the unique cut. Lace sweater– I love the mixed textures of this with the lace and the knit. 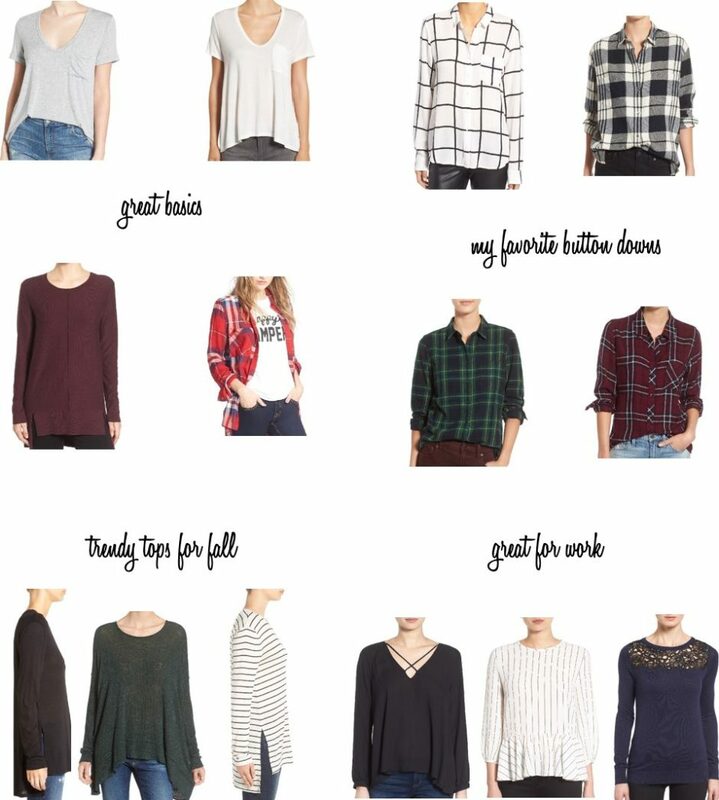 Below are some looks with similar tops from last fall. Love it all! Already got some goodies!